Hey all... I know you want My Heart is Beating ch 25, but I've got people working on the cleans for that finally, and they haven't gotten back to me yet. So we'll see. Meanwhile, I worked on this chapter. 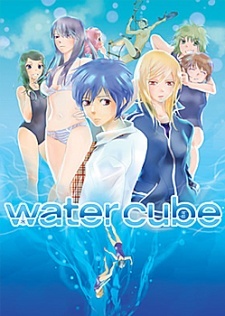 Water Cube is the Japanese adaptation of MHIB so it should be interesting. Tokirai did the cleans, so everyone thank her. I've only found ch 2 raws meaning that this is a one-time release - unless, someone uploads more online. If you find more, contact me? Finally, after I finish My Heart is Beating, I'll be releasing a compiled (and remastered for the beginning chapters) all in one package of the series...so look forward to that. Thanks again, I like both My Heart is Beating and Watercube. Watercube has a really nice art style. Thanks! It isn't 55, 56 downloads now! !